Herndon’s Town Manager William Ashton III has proposed a $60.2 million budget for fiscal year 2018 — a nearly 18 percent increase over the previous budget. 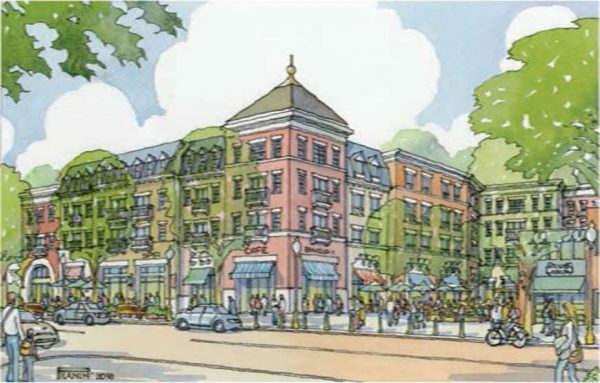 The majority of the increase is the result of $6.5 million for the water and sewer fund and $1 million for parking linked to the redevelopment of downtown Herndon. Modest revenue growth is projected over the next year, Ashton said. The budget reflects a nearly three percent increase in assessed property tax values. The town’s real estate tax rate will remain at $0.2650 per $100 of assessed value. In the proposal, funding is allocated for the Town of Herndon’s ongoing partnership with Comstock for the redevelopment of downtown. It includes $500,000 this year for an interior build-out of an 18,000-square-foot arts center, $2.9 million to relocate overhead utilities underground and $1.4 million for street improvements along Van Buren Street from Herndon Parkway north to Spring Street. The overall six-year plan for the capital budget includes $3 million for the construction of a new nature center at Runnymede Park, $3.3 million for vehicle and pedestrian access to the Herndon Metrorail Station, and $4.3 million for a second-story addition to the Herndon Community Center. A summary of the budget is available online.